Liverpool manager Jurgen Klopp has discussed the prospect of returning to the Bundesliga to take the Bayern Munich job in the future. Speaking in an interview with Die Welt, the German tactician would not rule out moving to Bayern at some point, though he insists he’s also happy with life at Liverpool for now – and not yet finished with his project at Anfield. Klopp has done tremendous work since taking over the Reds in the 2015/16 season, turning the club into genuine contenders for the biggest trophies. 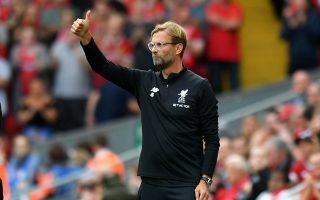 Liverpool are very much in with a chance of winning the Premier League title this term in a close-run battle with Manchester City, and they also reached the final of the Champions League last season. LFC fans will certainly hope the former Borussia Dortmund boss stays with them for a long time, and he’s very much suggested he will at least see out his current contract with the club, which runs until 2022.
Who's going to win the title this season? ‘I have a contract at Liverpool until 2022. And no one here has the feeling that we should end it – neither from the side of the owner nor my side,’ he told Die Welt. ‘I do not know (about managing Bayern). There’s a long way to go. Basically, football is like this: The opportunity has to be right, and the timing has to be right.